UNITED NATIONS -- The U.S. has taken steps to open a dialogue with Iran and others about the crises in Syria and Yemen. 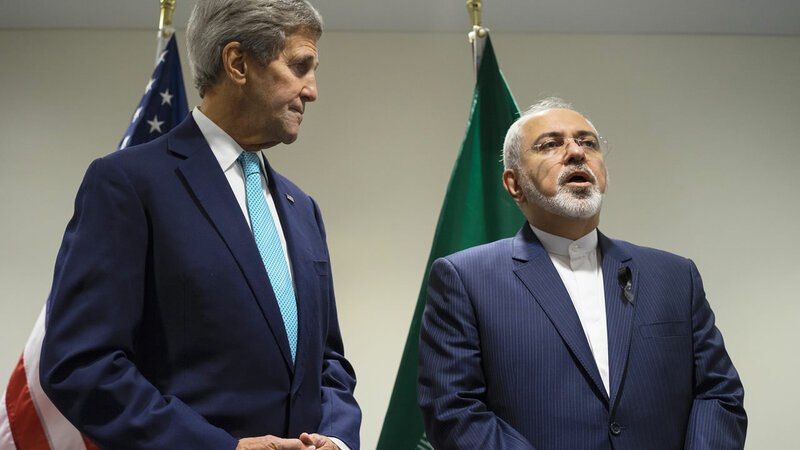 Secretary of State John Kerry met Saturday with Iran's foreign minister, Javad Zarif, on the sidelines of the U.N. General Assembly, and told reporters there would be discussions in the week ahead that could prove critical to resolving the conflicts. A spokesman said Kerry raised concerns about the instability in Syria and Yemen, as well as the fate of Americans detained by or missing in Iran, including a Marin County man, Jason Rezaian, who works for the Washington Post. Zarif said his primary focus would be the implementation of a deal that curbs Iran's nuclear program in exchange for relief from economic sanctions. He also said Iran was willing to discuss regional issues, including the deadly stampede at the Hajj pilgrimage in Saudi Arabia, in the appropriate forum. Also today, U.N. Secretary-General Ban Ki-moon met with Iranian President Hassan Rouhani and urged him to "contribute to a political settlement of the crises in the region," singling out Syria and Yemen.